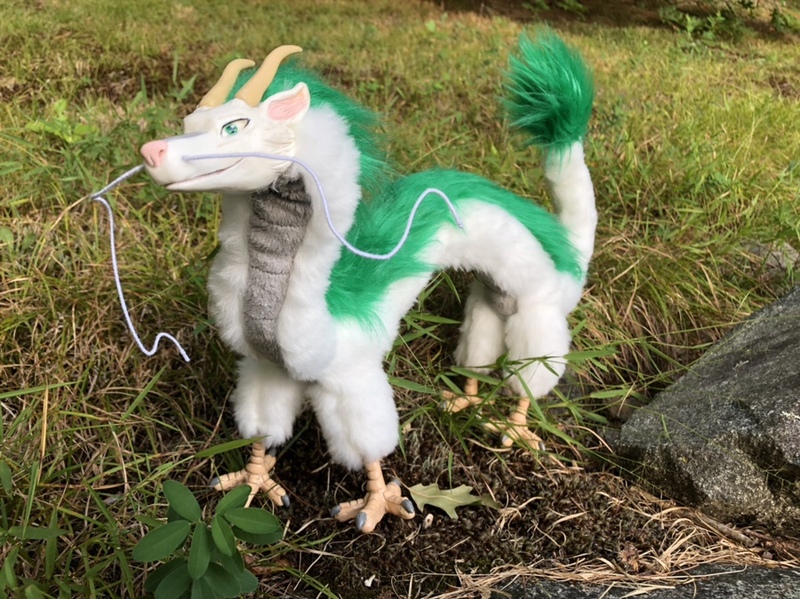 I decided that I really wanted to go all-out and differentiate this River Spirit Dragon from any of the other dragons that I make, so I designed an all-new pattern for his plush body, as well as completely making a new head and feet for him from scratch. 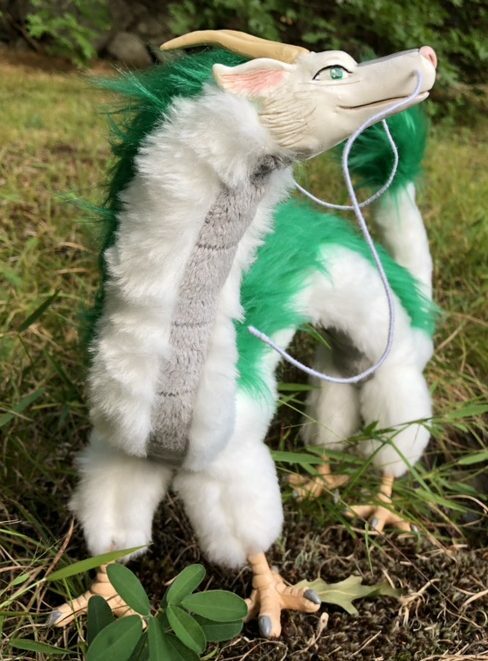 This head features the painted style of eyes rather than the “follow me” plushy eyes that I use for my Baby Dragons, Snakes and Raptors. It allows me the flexibility to paint in realistic or cartoony eyes for the head on a case-by-case basis. 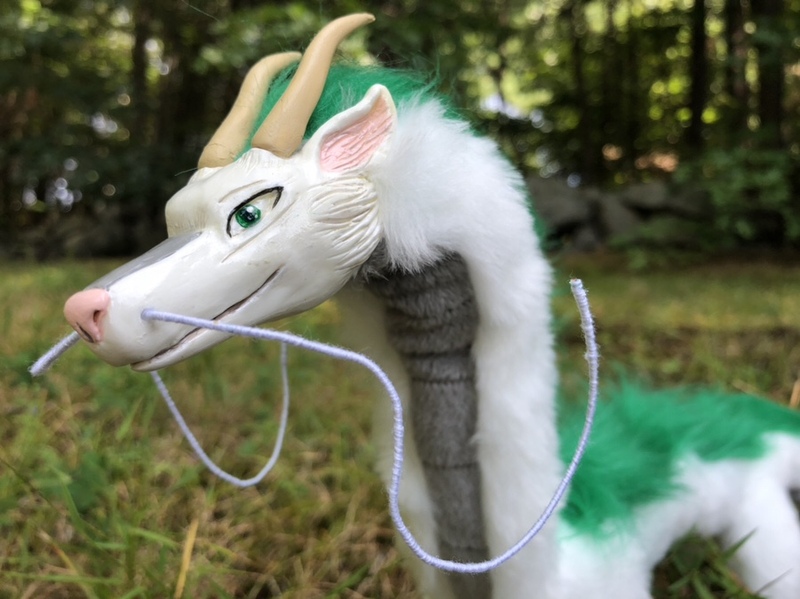 His head also has soft, hand-wrapped wire whiskers attached which are completely poseable, so adopters can gently move them to whatever position they like best! 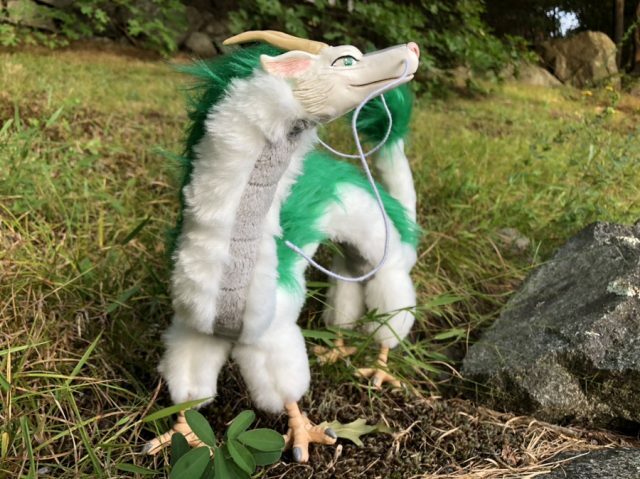 This “Haku-styled” dragon features a detailed minkey fabric tummy with ribbing stitched onto it, and silky soft long pile fur going down the length of his spine. 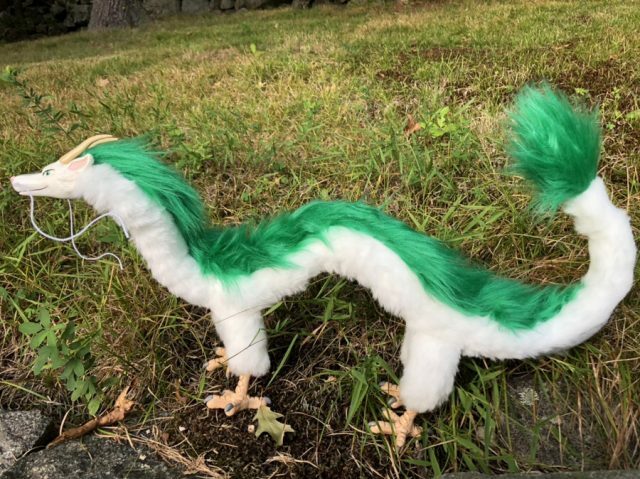 The River Spirit Dragon body is also super-long, at over two feet long! I wanted him to have an impressive length so that he would be able to drape and curl across peoples’ shoulders and walk around with them at home, conventions, or wherever else they might like to have a little bit of extra dragon companionship. 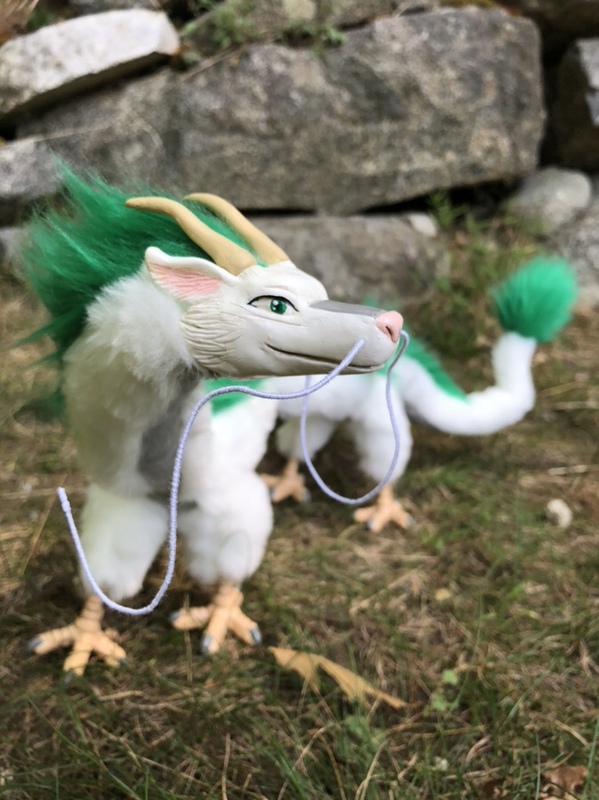 This River Dragon has a look and personality that’s drastically different from all my other creatures, and I think he’s destined to be one of my fastest-selling art dolls whenever I have one available!